French is the official language, though there are regional languages including Breton, Catalan, Basque, and Provençal. Visitors to Paris may be wary of attempting French words and phrases, but Parisians appreciate any effort to speak at least some French. Throughout the year many events and festivals take place in Paris. The city's cultural traditions are evident in many of these and others including the French Open Tennis Championships, reflect the city's standing as a venue for international events. 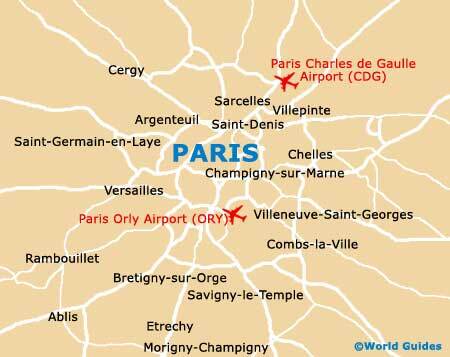 There are seven tourist information offices in Paris, one at each of the five SNCF train stations, one at the Eiffel Tower, and the main Paris tourism office is situated on the Champs Élysées, which is open throughout the year except Christmas Day and New Year's Day. Tel: +33 (0)1 49 525354 or 525356 for recorded information in English. Open hours: Daily - 09:00 to 20:00. Times may vary at the other offices. Although the vast majority of the population are of the Catholic faith, there are also Protestant, Jewish and Muslim minorities. The Louvre was a former fortress and palace before Napoleon turned it into a museum in 1793. Mona Lisa, Venus de Milo and Winged Victory are the most famous exhibits in the collection. Paris boasts 150 museums and monuments which are open to the public, with permanent collections such as those dedicated to the works of Picasso and Rodin. Museums of maritime history, medieval architecture, anthropology and the development of cinematography are included. Most national museums are closed on Tuesdays, while municipal museums are usually closed on Mondays. (also called Le Théâtre Français), which produces classical French drama, including the works of Molière, Hugo and Racine, plus modern plays; and the Théâtre Populaire. 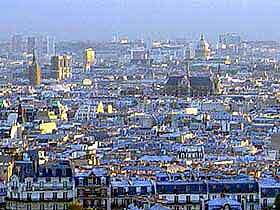 Paris has more cinemas than any other European city, and indeed film is the most important art form of the city. Each week there are many new releases plus the screening of classics. With film being the most popular art form in Paris, the city has more cinemas than any other European city. There are many famous cinemas in Paris. including the Balzac and there are various other multiple cinemas. The time for the whole of France is GMT / UTC plus one hour during the winter months (October to March), and plus two hours during the summer months (April to September). In line with the rest of the European continent, France uses metric measurements with a decimal point indicated by commas and thousands with points. Plugs conform to the European standard of two round pins. The electric current is 220V, 50 HzAC. American and British appliances require an adapter for use in power outlets. Cafés are great places to meet socially or do business, and are considered as much a social institution as a refreshment venue. In bars it is the usual custom to leave small change amounting to about 10% for the waiter. Café and restaurant menus will state 'service compris' (meaning service included), but where this is the case, it is polite to leave change and where it is not, a tip of between 15 to 20% is appreciated. Although there are stringent non-smoking rules for public places, such as the public transport system and public buildings, this is not the case in most restaurants and cafés which are likely to be smoky. They are however required to provide specific non-smoking tables. If in doubt exercise discretion and only smoke if those around you are doing likewise. Euro banknotes and coins are now the currency of France. There are eight Euro coins denominated in 1 and 2 Euro, then 1, 2, 5, 10, 20 and 50 cents. There are seven Euro notes in different colours and sizes which are denominated in 5, 10, 20, 50, 100, 200, and 500 Euro. Every Euro coin carries a common European face, and on the obverse, each Member State decorates the coins with its own motifs, while the banknotes look the same throughout the Euro states. All banknotes and coins can be used anywhere in the Euro area. Throughout France credit cards are welcomed. Some shops, cafes and restaurants, will not accept credit card payment for amounts under 10.00; but if applicable, this is indicated by signs and notices. Your PIN number is sometimes requested when paying at hotels, restaurants and shops. Nearly all ATMs in France accept Visa and MasterCard withdrawals. VAT tax, known as TVA in France, is applied at a standard rate of 19.6% on most articles sold. Non-EU residents may claim a TVA refund back if the cost of the goods purchased is more than 175.00. It is necessary to retain the receipts to present to French customs on leaving the country. Visitors to France from fellow EU member countries should carry either a passport or a national identity card. For stays of less than three months visas are not required. Citizens from the USA, Canada, Australia, Israel and New Zealand, including infants, need only a valid passport to enter France for stays of up to 90 days. Nationals of those countries not listed above, should contact the French consulate in their country of residence to gain detailed information of entry requirements. Health certificates and vaccinations are not required for entry into France.